These short-term specials are definitely BIG DEALS - - Get these products while this special lasts! 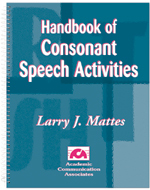 For other special offers, click here! 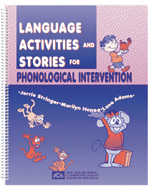 Communicating with Verbs - SAVE 50 percent now! Ages 3 and up. 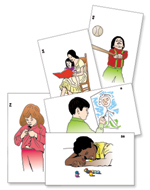 Here is a set of realistic full-color illustrations to help your students develop expressive communication skills. 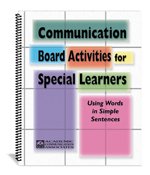 Use communication boards to strengthen language skills related to familiar topics and daily routines. Flash! 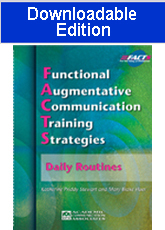 Pro - Teaching Pic2 Software - Create Photo Communication Boards QUICKLY! 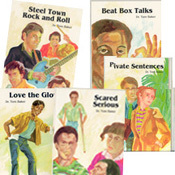 These 5 high interest low readability level mystery novels are perfect for older remedial readers and children with learning disabilities. Save $70 dollars on our most popular full-color picture card set. 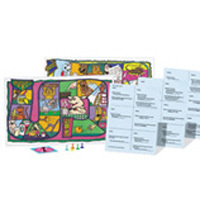 Picture Symbol Book Pack (3 Books) - Save MONEY NOW! 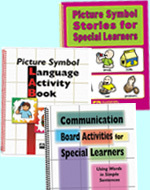 This pack includes Picture Symbol Stories for Special Learners, the Picture Symbol Language Activity Book, and Communication Board Activities for Special Learners. Ages 4 through adult. 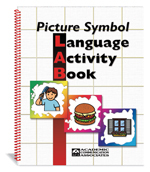 The language activities in this book use picture symbols to build vocabulary, comprehension, and sentence production skills. 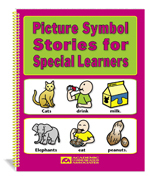 Build language and basic literacy skills using simple picture symbol stories. Picture symbols printed above the text facilitate word identification so that struggling students can experience reading success.